A look at how the former England captain, Alastair Cook, compares to his country's six most-capped players. Alastair Cook has bowed out of Test cricket with a century in his final innings for England. It was a tearful tale when he first broke retirement news to team-mates that The Oval Test will be his last admits Alastair Cook. England's Alastair Cook has announced he will retire from International cricket after the fifth Test against India. Alastair Cook will become England's most capped Test player when he takes to the field against Bangladesh in Chittagong on Thursday (watch series highlights every day on ITV4). 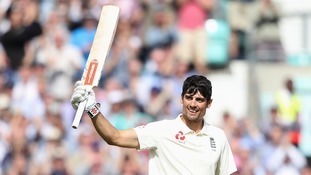 Cook's 134th appearance in England whites at the Zahur Ahmed Chowdhury Stadium means he will go above Alec Stewart, with whom he is currently level on 133 Test caps. 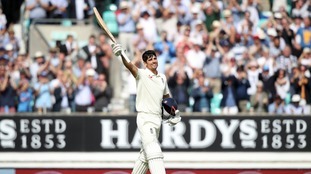 England needed Alastair Cook back urgently at Lord's, after their top order hit trouble in his injury-enforced absence. 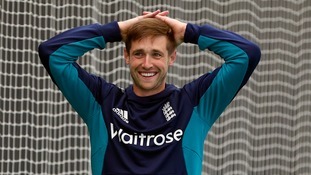 England captain Alastair Cook has backed Chris Woakes to perform in Ben Stokes' absence.